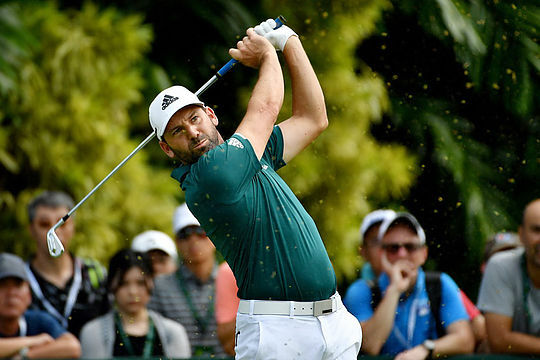 Sergio Garcia has avoided any suspension and/or fine with European Tour CEO, Keith Pelley declaring the matter ‘to be over’ after the Spaniard’s sensational disqualification from the Saudi International. Garcia, an honorary Life Member of the Tour, was thrown out of the event on Saturday after reigning Masters champion, Patrick Reed and a number of other players complained that Garcia had damaged some five greens. Pelley first issued a statement indicating the 39-year old Garcia had been disqualified for ‘serious misconduct’ under Rule 1-2a. Garcia issued his own statement apologising for his actions and it seems now he also spoke with the likes of Reed and others to personally apologise for his actions. This, it seems, has seen the golfer who some five months ago became Europe’s all-time leading Ryder Cup points scorer, has seen Garcia escape not only a fine but suggestions too of a suspension. “The incident is over,” said Pelley as reported by colleague, Martin Dempster in the Scotsman. Scuff marks were obvious on five of the opening greens on the host Royal Greens golf course was there was a large divot-like depression on the sixth green. Garcia’s actions were not on film nor was any video evidence of the damage he was alleged to be making however it has emerged he was spoken to by tournament director, David Williams. “I went out after the referees had spoken to me,” said Williams also in the Scotsman article written by Martin. “I managed to catch Sergio around the 12th and 13th and there had been no more damage after nine holes. I told him this was a disqualifiable offence. He was in his game zone, but he listened. We exchanged a few pleasantries and then he nodded and carried on walking. “It was obviously not a good situation to be in. He was obviously very frustrated and it is something very unusual to happen. Some of the marks were similar to what we sometimes see out in South Africa when a buck has run across a green. Over here it could have been a camel.